Caption slip reads: "Photographer: Mack. Date: 11-02. Reporter: Adler. Assignment: Litter cleanup. 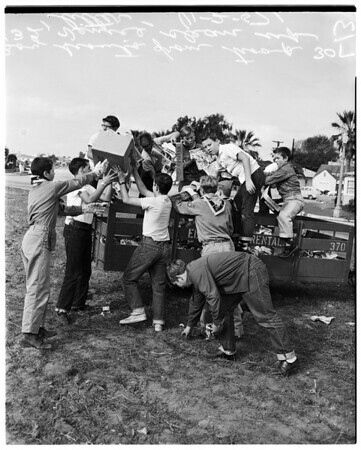 Boy Scouts from Troops 30 & 32, Venice, cleanup litter from Venice Blvd. right of way near Washington Blvd. at Venice".